Enjoy a one-of-a-kind Michigan camping experience at Lake Huron Campground! From here you can enjoy Lake Huron and the other beautiful in-land lakes that the thumb has to offer. 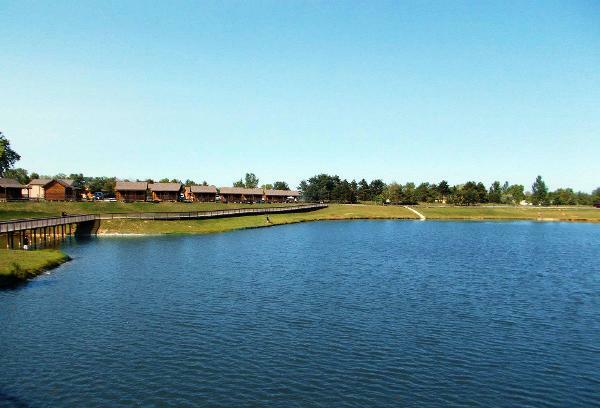 Our spacious RV resort and campground was built using the most up-to-date camping designs, making Lake Huron Campground one of the most pristine, state-of-the-art campgrounds you will find in Michigan, that's also pet friendly. Whether you're new to camping or a seasoned veteran, we want your experience at Lake Huron Campground to exceed any expectations you have about camping in Michigan. 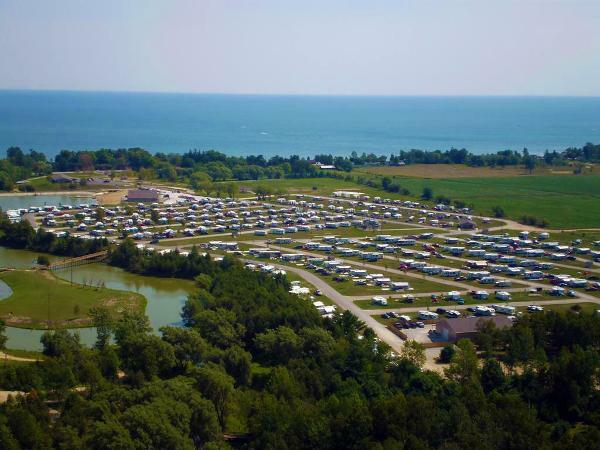 At Lake Huron Campground we have sites to accommodate every type of camper; from tents to pop-up campers to motor coaches and big-rig RV's, we aim to please. The campground consists of 395 camping sites, which include 46 Lake Front sites on our 20-acre private lake, 229 pull-through sites, and 20 rustic camping sites. 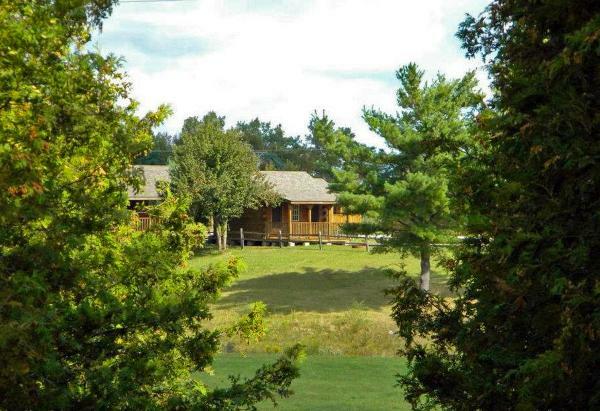 We also have our Cabin Village, composed of 35 real log cabins and 4 outdoor kitchens. While camping is a great way to get away from the daily grind of life, we understand it's difficult to leave the conveniences of modern-day living and technology behind. For this reason, we provide our guests with full-hook up sites, 50/30/20 amp service, and cable TV. 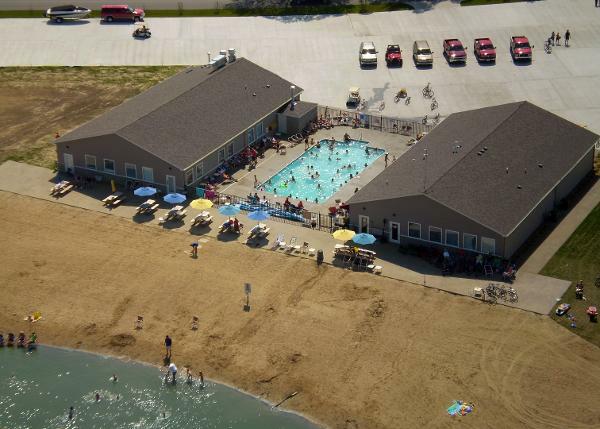 From our heated pool, 18-hole mini-golf course, Jumping Pillow, Pedal Cart Bike Rentals, Boat Rentals, Gem Mining Sluice, Golf Cart Rentals, Hourly Recreational Activities, Arts & Crafts, hiking trails, pizza café, biking, fishing, and boating to the beautiful beaches of nearby Lake Huron, our campground has everything you and your family needs. Lake Huron Campground will take your expectations about camping to the NEXT level.